NECRONOMICON ANUNNAKI BIBLE – Sixth Edition Release for 5th Anniversary, mardukite.com exclusive! Of all the literary projects that I have been blessed to be a part of in this New Age – it is the Necronomicon Anunnaki Bible that seems to stand apart as the cornerstone of not only my own professional career in the “book world,” but also the single most paramount – and certainly most widely circulated – of all the materials developed by the Mardukite Research Organization. AN EXCLUSIVE SIXTH EDITION IS AVAILABLE FOR ONLY $29.95 DIRECTLY FROM THIS BLOG – THAT’S $10 LESS THAN THE FORTHCOMING PUBLIC EDITION! When the project was still young, it seemed that it was constantly being reevaluated and revised until it reached a preliminary point of stasis as the ‘Fourth Edition‘ in 2010. 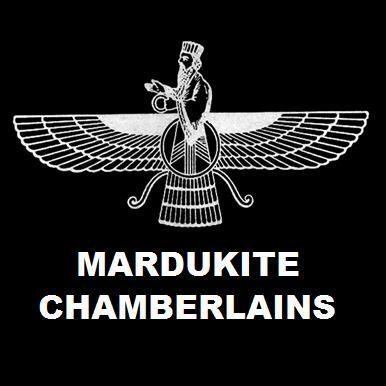 This lasted for two years until early 2012, when the tablets composing the Book of Marduk by Nabu (Tablet W), released in mid-2010, and additional tablet epics from Liber C, released as both Necronomicon Spellbook III and Beyond the Ishtar Gate in 2011, were inserted into the ‘Fifth Edition‘ of the bible as the Tablet U and Tablet V series. Finally, the entire Maqlu translation from Liber M, released in 2011 as Necronomicon Spellbook II or Maqlu Magic, now resolved preexisting issues with the Tablet M series. With the research cycle completed and a catalogue represented by the ‘full alphabet’ as it were, it seemed we had perhaps finally reached our Magnum Opus! So – why a sixth edition? –Firstly, the Sirozah Tablets that once occupied the Tablet-S position in the NECRONOMICON ANUNNAKI BIBLE and Mardukite Catalogue have been added to the only other complimentary “Zoroastrian” tablets in the volume as the Tablet-Z cycle, now called the Book of Zoroastria within the Bible. The logic of this allows us to not only free up the Tablet-S designation for another purpose, but also compiles all of these similar “Zoroastrian” examples together as a concluding appendix – something equally logical for the fact that they are Persian “examples” and not actual Babylonian liturgy. –Secondly, the Tablet-S designation is now called the Book of Sajaha the Seer and is an incorporation of the most recent research material published by the Mardukite Research Organization in late 2013 as “Sumerian Wisdom & Anunnaki Prophecies.” The work marked the first new contribution to the Mardukite Library since “Secrets of Sumerian Language” in May 2012. These changes only add consistency and completeness to the work. You are here, now, in the 21st century hoping to glean their truths, and this is by no means a simple task. It requires a certain perspective and paradigm to have real value and meaning – this is not something that a 21st century mind has been naturally cultured and encouraged to work with and the publications of this nature are being read by those without initiation or personal coaching or assistance on the pathway of the Great Mysteries. Hence – I say read through the prefaces and introductions of the NECRONOMICON ANUNNAKI BIBLE so that you may find the most on your journey through the rest. And may it be a most blessed and illuminating journey. ← NECRONOMICON NEWS – H. R. Giger Crosses Over! What happens when necromongers die?